The world of lo-fi music on Bandcamp can be interesting. You have those who believe “lo-fi” is a synonym for “a tag for those 30-second song covers I sang to kill time while I was on the toilet last night.” On the other hand, you can stumble on something you’ll never find outside the lo-fi underworld: something completely visceral, completely intimate…and in the way it lets the cracks in its armor shine, something that surpasses structured beauty and enters the realm of pure musical experience. So if you asked me to describe Hunt Breathing’s Plantae to you in technical terms, I would likely be unable to do it. The closest I can get is probably a description of its conceit: almost every track here is named after a different plant, and each is left free to grow organically. There are no choruses to speak of. 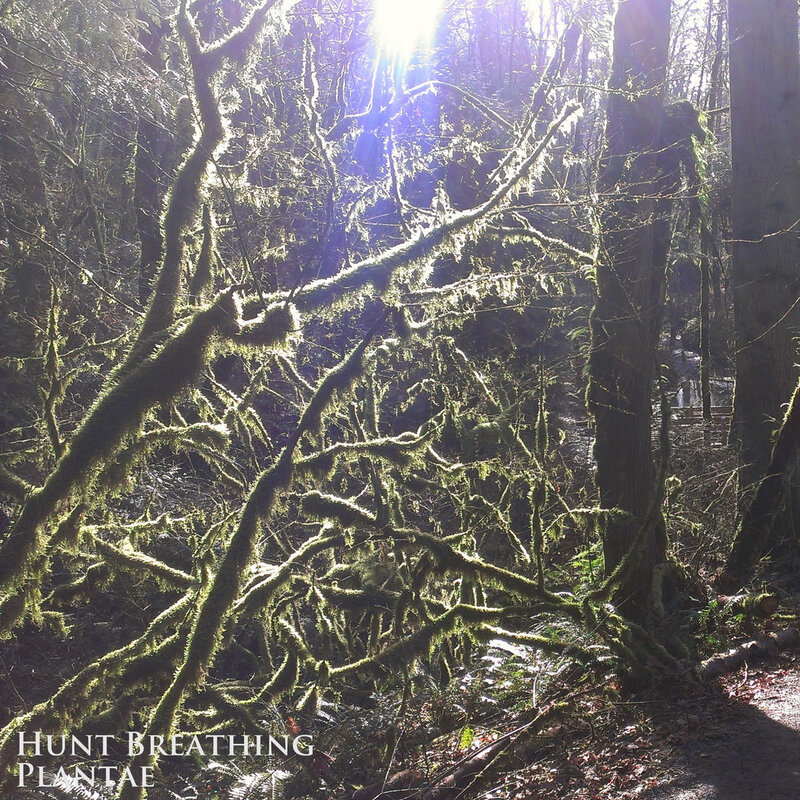 The vocals are more texture than they are text, serving more as a sign of human life lurking in the foliage of guitars and fuzzy noise that is Hunt Breathing’s stomping ground (the occasional hints of other flora on the periphery, like a weepy harmonica bit on “Cupressus Macrocarpa”, prove a rare and therefore refreshing treat). If you’re looking for something fully-formed, packaged in cellophane and waiting to be devoured, this ain’t it. But adventurers should find plenty of wildlife here to observe—and hopefully nurture.